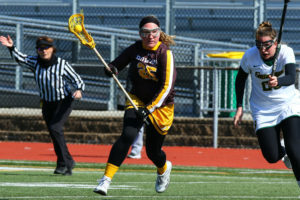 Senior attack Kim Doyle looks to make a move against Skidmore College earlier this year. Doyle has 14 goals on 27 shots this season. Photo courtesy of Sports Information. Rowan lacrosse head coach Lindsay Delaney had a message at the start of the 2018 season. 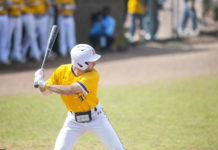 And being better is exactly what the Profs have continued to do as they rolled into their first game of April in a road matinee against Scranton University, the team’s last game before the start of New Jersey Athletic Conference (NJAC) play. It was the first of a three-game road trip, as the brown and gold are looking to capitalize on their high-flying offense. With the emergence of leaders like junior captains Maddie Bray, who tallied a team-high 33 goals on the year, and Taylor Gretz, whose determination to get to the rough areas of the field have lead to a powerful combination many opponents have been unable to match so far this season. It’s that kind of leadership that the Profs will have to continue to follow if they hope to make a strong push to the playoffs, especially with a more challenging conference schedule approaching. The first step for Rowan in their three-game road trip kicked off with that duel at Scranton. 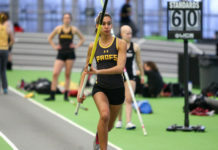 The Profs won last year’s matchup against the Royals, 17-8, back home in southern New Jersey. After starting the season with two consecutive wins, Scranton had gone 3-4 in the month of April to put them at 5-4 going into Tuesday’s game. Rowan continued their winning ways Tuesday evening, starting off the road trip right by handily defeating the Royals, 13-11. The team was buzzing from the start, netting four goals in the game’s first five minutes with two from Bray and the other two coming from senior attack Kim Doyle and Gretz. The Profs struggled to close out the half, allowing four unanswered goals to lead the Royals by a narrow 7-6 margin entering halftime. After allowing the first goal of the second half to tie the score at seen, Rowan cranked up the pace. Bray would lead the charge for the team, scoring the next three to put the lead at 10-7. 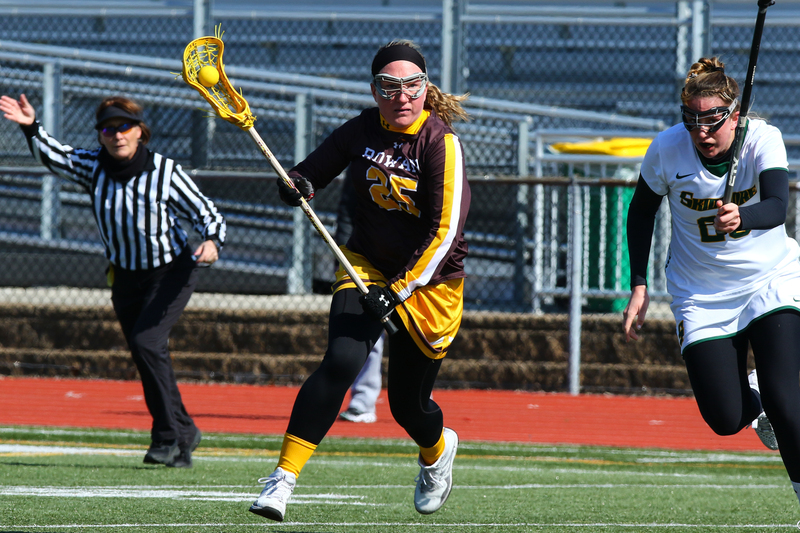 The Profs scored another three goals in the frame, while senior goalie Erin Horner had 11 saves in the victory to put herself at 68 and on pace to break her career record of 110 saves in 2015. The win seals another victory on the year for the brown and gold, bringing their record to 6-1 as they continue to hold the 23rd spot in the latest Intercollegiate Women’s Lacrosse Coach’s Association (IWLCA) poll. The next two games give the team their first taste of NJAC play, as they head to Kean on Saturday and Stockton the following Tuesday. Delaney will look to continue to steer this team towards their ultimate goal with a deep run into the playoffs. As it’s been all season, coach’s message is simple.